Designed to crank on a binding, open a beer, tune your board or stash your ear buds, the Leatherman Hail snowboard tool was a joint effort between our tool engineers and the Signal Snowboard designers. We worked to fit "quick fix" features and cool extras into a lightweight tool that clips onto your belt, pack or jacket. So go ahead clip 'em on and put 'em to the test, these travel friendly (yup they're TSA compliant) Portland, Oregon originals are built to last. 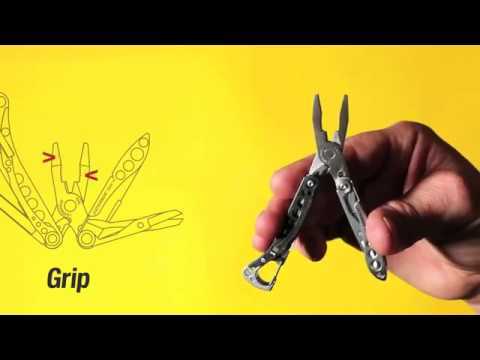 The Leatherman Hail Pocket Tool is supplied with a 25 year warranty.